We carry many salvage and New Old Stock (NOS) parts for our own restorations. 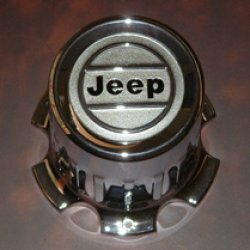 Although we are focused on reconditioning our own inventory of Jeeps and therefore not set-up as a parts retailer, we are happy to help out if you looking for a specific part and we have it. If not, we'll refer you to other resources. Some known available parts for sale are listed below. Just e-mail or call with your request for these or other parts and we'll see if we can help. Call (972-965-6130) or email (wagonman@prodigy.net) to confirm the part you need is available. Or, send us an e-mail request to pay via Paypal and we'll send you a Paypal Invoice (allows you to pay by credit card through Paypal). A small Paypal service fee applies on Paypal orders. 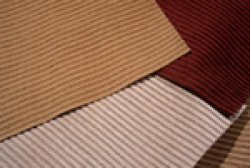 Give your interior that "new" look with ORIGINAL seat cloth material inserts. 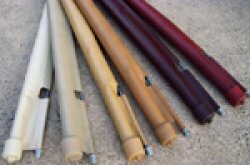 We have a limited supply of original cloth material seat inserts - perfect to replace the aged, worn or stained cloth portion of your seats (this is the factory original, cumberland cord cloth material). A set includes cloth inserts pre-cut for the cushion and lean back portions of one seat (two seats required for the complete rear seat). Limited supply -- call or email for availability. Late model -- 87-91 Cordovan/Burgundy; 87-88 Tan; 86 Tan; 89-91 Sand -- original Sand is GONE, but we have an original material Alternate Sand. Call/email for early model seat material options (recommended to send a picture of your original seats). Late Model (1986 to 1991): $105 per seat set (one seat) or $375 for a set of 4 (covers front and rear seats for one vehicle). Early Model (1963-1985): $115 per seat set (one seat) or $395 for a set of 4 (covers front and rear seats for one vehicle). Requires professional installation.VERY LIMITED SUPPLY AVAILABLE.